I must admit that I am arriving very late to the party with Charlie Brown. I would occasionally catch the specials on t.v. while growing up, but for whatever reason it never became a big priority during the Fall season or Holiday season as catching Hocus Pocus or Santa Claus is Coming to Town. Those were just two of mine and my siblings favorites. In my adult life, I happen to find these fun, entertaining, and a little witty! 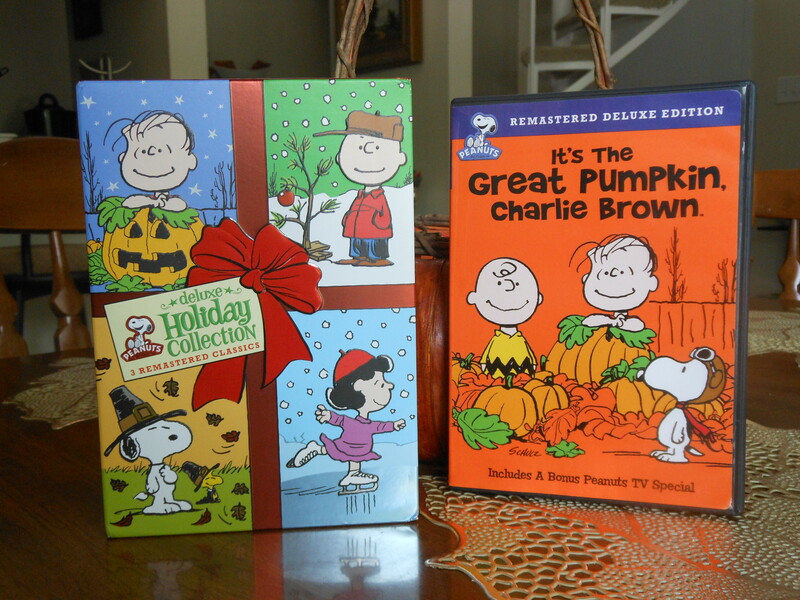 I knew I at least wanted to bring A Charlie Brown Christmas into my collection, but when I saw this trio on Amazon, knowing I would eventually want to expand my collection further, I crunched some numbers and found it was best to get this Deluxe Holiday Collection. I went ahead and bought it in the summer so I would already have it on hand for the upcoming seasons. I think we even popped in It’s The Great Pumpkin way back in September! It looks like Charlie Brown has a movie for all of the Holidays, even one for Valentines Day! How cool is that? It looks like we can stay festive all year long with Charlie Brown and friends! My goal is to share these with my future kids someday and make awesome cozy memories just like I did growing up! Do you like Charlie Brown? Is it a family favorite? What’s your favorite movie from the collection? LOL! Patrick, you ALWAYS make me laugh with your responses (in a good way)!